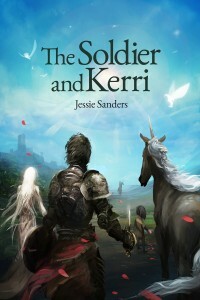 The Soldier and Kerri now avaliable! I’m proud and excited to announce that my first short story has been published and is ready for your e-reader! The Soldier and Kerri is a fantasy story set in the world of Pocatello. Only .99c to download directly to your Kindle, so why not give it a try? Buy it from Barnes and Noble here! Buy it from iTunes here! But it from Kobo here! And if you like this one, the second tale, A Telling, is now available!